The London Eye is one of those attractions you just have to experience at least once. When you buy your mobile tickets with us, you can choose between Flexi Tickets, which are often a bit more expensive and may involve some queuing but give you the freedom to decide on the day if you'd like to go, or Time Slot Tickets, which allow you to pick the day and time of your visit and skip the long queues. 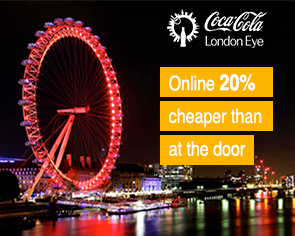 We also have some amazing combo deals to save you up to 60% on London's most popular attractions.